​ The Rev. 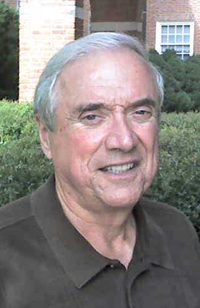 Dr. R. Frederick (Fred) Crider, Jr. is a retired United Methodist pastor who lives in Timonium, Maryland, with his wife Diane, who is likewise a retired United Methodist elder. They delight in visiting and helping out with four children and seven grandchildren. In addition, they enjoy temporary pastoral and preaching opportunities, walking, travel, and caring for house, yard, and garden. Fred also enjoys golf, repairing model electric trains, and keeping an old British roadster running. Fred’s interest in writing religious poetry and hymn texts grew throughout his 43 years of parish ministry, often in response to the lack of an appropriate text for a sermon or worship theme. His interest developed further in retirement, nurtured by membership and participation in events sponsored by The Hymn Society of the United States and Canada, and The Fellowship of United Methodists in Music and Worship Arts. Inspiration for texts come from reading, his life in church, especially his pastors’ sermons at Towson UMC, the texts and tunes selected for the chancel choir (in which he sings), and his own Wesleyan theology (especially (a. sheer praise of the Triune God, (b. grace and our active response to it, and (c. the Cross and Resurrection). Also, he draws from general life experience, his observations and reflections on the wondrous diversity of God’s children, the blessings and curses of society’s institutions, and all of God’s magnificent creation.